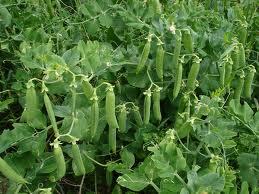 Organic cultivation of vegetable crops have immense importance in coming era. Use of chemically based fertilizers and other amendments leave poisonous effect all around the environment. Additionally, on a globally scale, all the living organisms are negatively affected by these applications. For this, we should be give emphasis on growing organic vegetables which will contribute 75% of the human diet. To promote organic cultivation of vegetables and other crops, governments should launch attractive schemes for farmers, by which farmers get benefits. Besides this, agriculture departments should organized training seminars, camps and others programs at different centers in order to trained, make aware and tell about organic agriculture. Banks should provide subsidy loan schemes to encourage farmers to adopt organic farming, and governments should banned one or two chemically based substances used in agriculture. Gradually after adopting organic farming by some farmers, more substances can be banned by the authority. As cited above, organic cultivation of vegetables can be adopted and we can be escape the human health problems in the coming era.